Professional Model finds modeling in America a fabulous adventure. The world of modeling is a great challenge indeed. Imagine if you started a modeling career in America after being raised in Japan with only the intention of attending school here in the USA to obtain an academic degree. 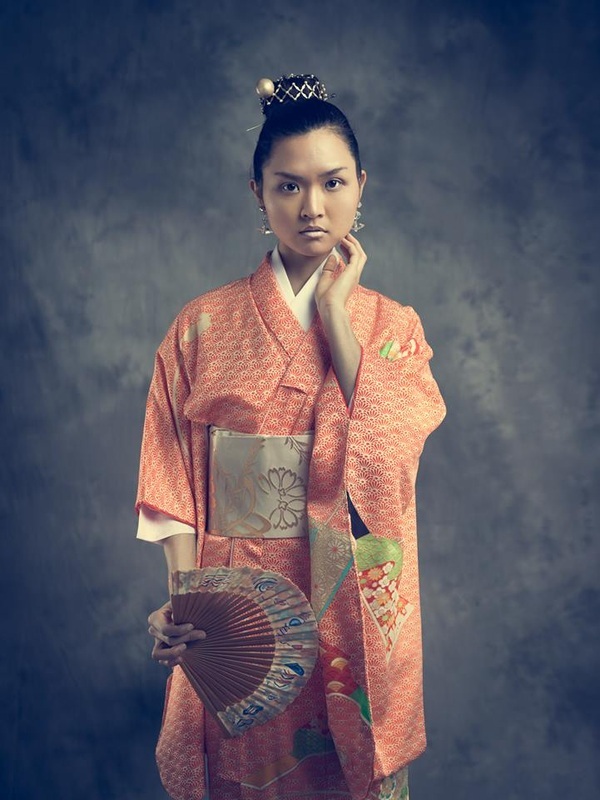 Read about Kana's amazing experience in the fashion industry! Kana: I was born and raised in Tokyo, Japan. Kana: I went to a super preppy girls school in Tokyo all my life. I came to United States to attend college at UC Berkeley and then University of Maryland for my graduate study. Copa: When you were in Japan did you ever think you would be a fashion model? Kana: No! LOL!I I went to a special school that trains girls to be “proper Japanese women”. Basically an elite housewife training school. We learned how to perform a tea ceremony and cook a full course meal and knit a sweater all at the same time. Being in the lime light was strictly prohibited! Copa: What influenced you to travel to the U.S. and now making it your home? Kana: I actually came to United States to study political science and better understand the American culture. My dream was to work for the United Nation and save the world! Somehow I ended up becoming a fashion model. Copa: When was your first modeling assignment and what was is the big story on how you started as a model? Kana: I officially started modeling when I got scouted by Phil Kogan at the Italian Embassy Fashion Show last year. He then proposed to do a test shoot together. I was really excited because, obviously, he is an amazing photographer! I had no idea how to pose and I kept making weird faces. That was only last summer and since then, I did a couple more test shoots and was signed to my first agency. Copa: What designers do you like the best and why? Kana: That's a hard one! I have loved Vivienne Westwood since I was in the 7th grade. We had uniforms and accessorizing with her socks and bags was the only fashion statement I could make! Also Betsy Johnson! Her pieces are so fun I wanna own them all and decorate my room with them! I like that they are both such incredible strong women. They remind me that if I don't keep myself in a box, nobody else can, either. I also love JEM collection and Linell Ellis for accessories. They are both local designers here in D.C. and I cannot get over how incredibly talented they are! Copa: How would you define your individual style as far as clothes, shoes and accessories? Kana: When I go to work, I make sure to wear something that's easy to take off so that I can get into my outfits quickly. Also they have to be relaxed enough so it doesn't leave any mark on my skin. But on my days off, I like to mix stuff up. Crisp new jackets with vintage dresses and edgy shoes. Copa: Do you miss Japan, if so in what way? Kana: Yes!! Food!! Oh gosh food. And of course my family! LOL! Copa: What are the most interesting things or situations you have experienced being a model so far? Kana: Maybe drowning as a part of a job? LOL. I did an underwater shoot for Baltimore Sun Magazine a while back. The whole team was amazing and the images came out great but I cannot say the process was as pretty. I was like a drowning duckling in designer gowns. Copa: What does the future hold for Kana Suzuki? Kana: I'm taking a couple of months off to travel now that I just graduated. When I come back, I will be working in New York and around here in DC. I'm still trying to figure out what I'm going to be doing in addition to modeling. Don't be surprised if in the next picture, I look like a farmer—and it might not be from a shoot. LOL.